BT Infinity broadband service launches with superfast 40Mbps downloads | What Hi-Fi? 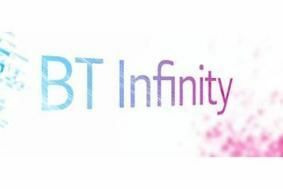 BT Infinity uses fibre optics to produce download speeds of up to 40Mb/s.Upstream speeds are up to 10Mb/s – claimed to be the fastest in the country. Prices for the consumer service start at £19.99 a month. From January 25, new and existing BT Total Broadband and BT Business customers will automatically be eligible for the Infinity service in areas with an enabled exchange. The service aims to reach around four million homes and businesses by the end of December 2010. BT claims the superfast speeds will transform consumer experience of the internet, with the higher speeds lending itself to HD streaming video, catch-up TV and simultaneous use by multiple computers. “We want to give our customers the best possible online experience and are committed to rolling out super-fast speeds across the UK,” said BT Retail chief executive Gavin Patterson.